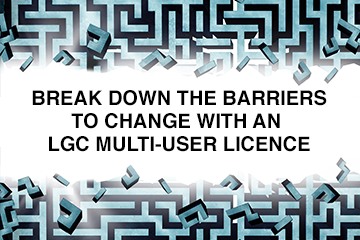 As LGC reported in February, most LGPS pooling groups have now received the green light from local government minister Marcus Jones, even if some have been asked to tweak and adjust their plans. After the rigmarole of designing their pooling structures and getting the official nod comes the hard part for funds: transitioning assets into their newly created pools. This would be challenging at the best of times. Moving assets on a large scale can always expose a fund to price sensitivities and transition costs. But with the transition process likely to be concentrated in 2018, there is an additional fear that potential risks could be magnified as pools seek to become operational in such a time-limited period. It is also a volatile time. The uncertainty over Brexit and the outcome of this year’s various European elections plus having President Trump in the White House could make for challenging market dynamics. It was against this backdrop that LGC, in association with Legal & General Investment Management, in March held a roundtable debate on the eve of the LGC Investment Seminar to bring together leading LGPS officers and consultants to discuss the practical challenges of transitioning assets to pools. Debate chair Nicola Mark, head of Norfolk CC’s pension fund, said the process of transition is set to be “a very testing one for all of us” and that pools faced an array of complex legal, technical and governance issues. Catherine Darlington, senior transition manager at LGIM, then outlined the process of transition, the role within that of transition managers and how she felt the current process was likely to unfurl. Reading through the July pool submissions, it was clear many pools are looking to consolidate their active mandates, Ms Darlington said. “With the rationalisation of active mandates, pools are grappling with the questions of which assets will move into the new structures, how they’ll move, when they’ll move, and what order they will move in,” she said. “Rather than one big bang, we think a phased series of events will be optimal for the pools, and that seems to be the intention indicated by most. We envisage the pools will be engaged with the transition management industry over a number of years, probably with a concentration over the back end of this year and into next year,” Ms Darlington explained. “The markets are aware of the activity and will be watching. Breaking up the activity across a transition management panel will help protect the confidentiality and flow, as the market won’t know exactly who’s implementing, what they’ll be implementing and when. “Cross-pool collaboration is going to be a really important part in helping manage value protection through crossing but also through minimising market impact,” she added. With the likelihood of a phased series of events, Ms Mark asked how important it would be to have co-ordination across pools. “Crossing between pools sounds [like] a really good ambition; it could be an interesting one to manage,” said Nick Buckland, senior consultant at JLT. “The suggestion that all the pools need to speak to each other and tell each what they’re doing is absolutely essential to minimise the market impact,” he added. Mr Buckland asked Ms Darlington how she saw that working in practice. There would be some natural pairings, Ms Darlington said. “There are going to be certain pools that maybe have similar managers and they might be considering similar activity. There might be some more natural partners for that kind of crossing, and the cross-pool working group would be a good central co-ordination point; perhaps working in partnership with some of the consultants who specialise in transition management to co-ordinate that in a central way. But I recognise in practice it may be very hard to take advantage of every crossing opportunity. It will depend on the pace everybody is moving at,” she argued. The panel then moved on to discuss what this process was likely to mean in terms of manager rationalisation. This would bring with it the potential for funds to save on money and fees, the group agreed, but there was also the question of what rationalisation might mean for the capacity of funds and managers to perform. “We had it relatively easy in the scheme of things,” said Trevor Castledine, deputy chief investment officer of the Local Pensions Partnership, which comprises the London Pension Fund Authority and Lancashire. “We had just two schemes to pool, and we’ve gone from seven or eight external managers to three. Basically, we identified the managers who were effectively doing the same job. There was crossing, because London brought its existing portfolio to the table and Lancashire brought its existing portfolio to the table. “The interesting thing is when there are benefits associated with crossing, who gets them? Is it the person who is bringing the assets that you can cross who is creating the benefit, or is it the person who wants them? When we worked out what the benefits were, it was quite a nice equal split between the two parties. I think it’s fair to say that was more luck than judgement,” he added. “Back in 2003 [when working at Bexley LBC] we were fully managed by UBS; we split the fund 50/50 with Newton and we went through a transition,” said Mike Ellsmore, chair of the pensions panel at the Chartered Institute of Public Finance & Accountancy. “We didn’t have a transition manager or anything like that, and we could never work out what impact it had on performance. But our performance definitely dipped; we reckon it probably cost us 2% of performance. “It’s the sheer scale of this; no one can really conceptualise it. My own feeling is it will rationalise over time. But there’s got to be some really big fees savings, haven’t there, to take a 2% hit on transition. Despite impatience to press on within government circles, funds needed to recognise this process was not a race, Mr Ellsmore said; funds had to get it right. Paul Tysoe, investment and fund accounting manager at LGSS Pension Services (covering both Northamptonshire and Cambridgeshire), added: “The big message I would like the government to acknowledge, and I think they haven’t yet done so, is we are on board with pooling. We believe in pooling; fee savings are good. But at the end of the day two other factors should apply: protected capital values and performance. Prior to working for JLT, Mr Buckland worked for the Dorset pension fund, which was part of the Brunel pool. “When we were putting the business plan together for Brunel, we had a worst-case scenario for transition in terms of what it might cost,” said Mr Buckland. “The worst-case scenario, actually, was doing it quickly. If you did it in a more methodical approach, it was going to be much more efficient and actually destroy much less performance and value. So, I don’t know how you do it, but I know how you don’t do it,” he added. The debate then moved on how funds can retain sovereignty within a pooled structure and the pros and cons of active and passive within the transition context. More widely, as was highlighted by Andy Watkins, chief finance officer at Bedford BC, while there are very real worries around cost and complexity, funds may need to accept that pooling is inevitable. “If the pension fund is here for the next however many years, is this, despite the issues around capital preservation, just something that we do? Because longer term is it going to pay back?” said Mr Watkins. “Certainly, for the Bedfordshire Pension Fund, on the figures I’ve seen, there’s an immediate payback. So, it’s then, ‘OK, we’re in a good position, we understand where we’re going’, but its then that issue about sovereignty, about what do we do in terms of our asset allocation, and what is Border to Coast?” he added. Ms Mark asked Ms Darlington what skills pension fund officers will need to manage such a complex transition process. “This is not just a trade; it is a very complex asset management activity that you are going through and, as a transition manager, we need to bring to the table a broad asset management skill-set,” Ms Darlington explained. “There is a lot of project management involved, and the key challenge as you’re starting to come together will be co-ordinating the volume of information for that transition manager just to formulate a transition plan, and to be able to take that holistic view and make sure the plan captures all of the considerations that each of the individual schemes has. Given the sensitivity of the information that you will be sharing it is important to ensure that the providers you partner with cannot monetise the value of the information you’re sharing with them,” she added. Ms Darlington concluded: “When we are planning events, we will look at the ‘known unknowns’. We’ll look at when there are big announcements planned or big press conferences and, obviously, we don’t want to start trading in transition on a day like that. “There are going to be some unknown unknowns and perhaps going in to the process around Brexit, there may be a heightened number of those. Having some degree of flexibility within the transition plan is important, to make sure you don’t bear the brunt of those costs; that you can take your foot off and put it on the accelerator. It’s been a busy time for the Local Government Pension Scheme and the pace of change is picking up. As the new pool structures are formalised and created, funds are grappling with a number of questions. Which assets will move to the new structures? And in what order and how should this happen? This consolidation is likely to be a sequence of increasingly complex events; many pools have already started the process with their passive assets and have indicated that they will also seek to rationalise their active mandates. It is critical that the long-term benefits of pooling are not diluted by avoidable trading and associated costs. Transition management partnerships should help funds seek to minimise the payback period for implementing these changes and also seek to maximise the value of assets being delivered into the new structures. At its core, this is a very complex asset management process. Transition managers need to bring to the table a broad asset management skillset. There will be a lot of project management involved, and a key challenge as you are starting on the journey will be co-ordinating the huge volume of information and identifying the salient inputs to incorporate into the transition planning process. The various transition phases are not necessarily a series of discrete events and there are likely to be a number of potential unforeseen risks relating to markets and interdependencies between funds. We also need to recognise that the process will not be static, which needs to be built into the planning. The pools may therefore benefit from transition partnerships that can also offer complementary asset management services, with a skillset that includes interim management, asset allocation overlay management services, run-off / illiquid asset management and currency hedging. Harnessing the expertise of skilled transition partners could provide the LGPS with additional resources, such as risk management and audit tools in this period of seismic change. We encourage the pools to use transition manager partners as a resource in the planning process, to analyse different scenarios for you and to provide input to your project planning as the pools answer the questions of what, when and how. We envisage that the pools will engage with the transition management industry over a number of years. At LGIM, we want to support you on this journey and will continue to be a strong, supportive partner with the LGPS. LGIM provides transition management services and our team is available to discuss event specific strategy. Three government departments have warned council pension funds they must prove pooling their investments has or will save money or face intervention. Council pension funds may have to pay out unexpected extra benefits on the basis of new guidance from the Department for Communities & Local Government.